I am in Arusha at the foot of Mount Meru in northern Tanzania. 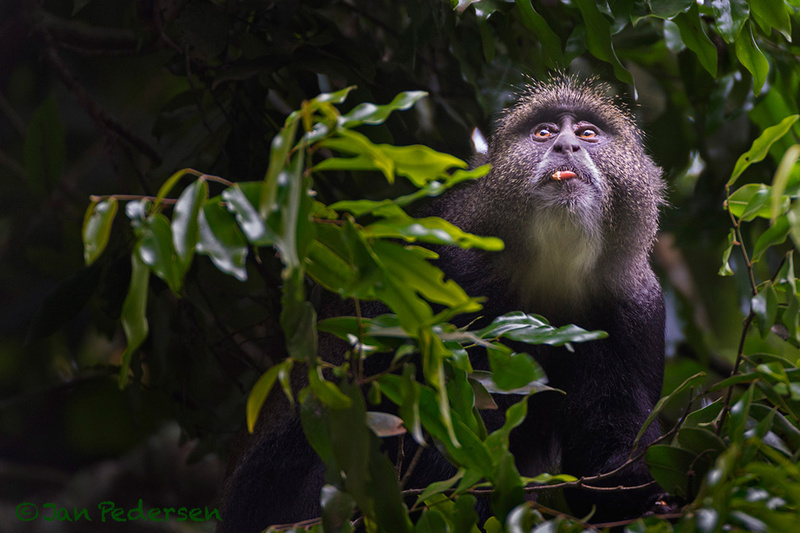 I spend yesterday in the cool shadows of the forest in Arusha National Park photographing montane forest. Various troops of monkeys worked their ways through the trees like Black and White Colobus monkeys and as here the elegant Sykes monkey (also in some sources called the Blue Monkey). Sometimes in mixed troops. The air was silent and cool with voices from calling trogons, hornbills and cuckoos - much different from the dusty plains below.